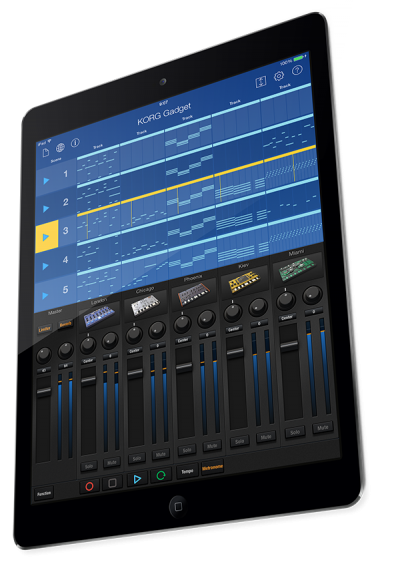 Korg’s new music application for iPad, “KORG Gadget”, recently announced at the Winter NAMM Show 2014, the world’s largetst music products trade show, achieved the #1 position* all over the world on the App Store in the Top Paid Music App category, thanks to everyone’s support. *USA, UK, Japan, Germany, France, Italy, Spain, Australia, Canada, Sweden, Netherlands and much more. And, with more than 1,400 exhibiting companies at the NAMM show, KORG Gadget has been selected by Beatport in their “Best of NAMM” list, coming at #4. Additionally, KORG Gadget came in at #11 on Audiofanzine “20 Hot Products” list of new NAMM products. Gadget was the only mobile app in the list! For the many people that have purchased KORG Gadget and the overwhelmingly positive interest (far beyond our own expectations! ): Thank you very much! Since Gadget’s release we’ve already received a lot of great feeback and requests from users. ”KORG Gadget version 1.0.2 (code name : Milpitas)”. At present, we’re aiming for a late February release. Although we won’t be able to implement all the requests we’ve received so far into this update, we will continue to update Gadget step-by-step for a long time coming. So, be patient and we’ll do the best we can to fulfill your requests where possible! Gadget will continue to evolve and grow as an app, with refinements and new functionalities still to come. We want to truly unlock the power of mobile music making with this app! We’re aiming for serious functionality and plenty of fun, with a music app that’s truly optimized for iOS. 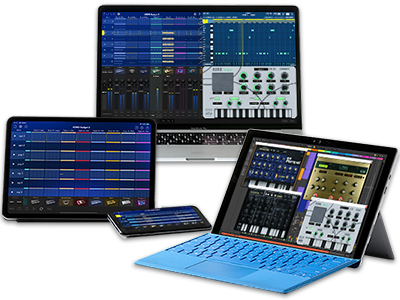 Thank you again for your support of our mobile music production app, “KORG Gadget”.